How will being underweight impact your pregnancy? Learn how to ensure your health—and your baby's—if you are underweight. From those amazingly fit Instagram stars to the rapid post-baby weight loss of celebrities, pregnancy weight gain is always a hot topic among mothers and healthcare providers alike. How much is too much? How much is too little? Although the risks of being overweight and pregnant are well-known, there's not much information out there regarding the opposite—how to have a healthy pregnancy if you're at a low weight. Here's what you need to know if you're underweight and expecting. Underweight is generally defined as a BMI of 18.5 or under. The American College of Obstetricians and Gynecologists recommends that someone with a BMI of 18.5 and below before or at the beginning of pregnancy gain anywhere from 28-40 pounds in pregnancy, while those with weight in the normal range (a BMI of 19-24.9) are suggested to gain about 25-35 pounds. Women pregnant with twins are advised to gain more. While clinically underweight people are a relatively small population (about 9.7% of women worldwide), the condition of being underweight or not gaining enough weight during pregnancy does come with some risks. For mom, having a low weight can put more stress on the body during pregnancy, including a higher risk of nausea, vomiting, and serious dehydration. For baby, there are increased risks of both preterm birth and low birth weight, according to a 2011 meta-analysis in the International Journal of Epidemiology. 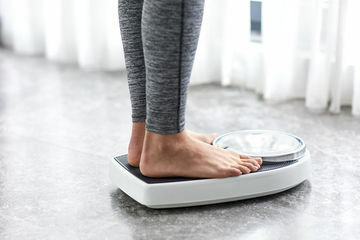 Of course, it's not always the case, but people who are underweight may have underlying issues that can influence their weight, including smoking, drug use, hypothyroidism, or a history of eating disorders. Emiliano Chavira, MD, MPH, a maternal-fetal specialist in the Los Angeles area, stresses that you should investigate and address any issues related to weight before you try to get pregnant, if possible, as they may or may not represent a problem: "The care depends on the reasons someone is underweight. It might be pathological, but it also might be their genetics or their metabolism." Once you are pregnant, Rhea Williams, CNM, a certified nurse midwife and clinical nutritionist specialist who practices in Columbia, MD, emphasizes finding a pregnancy provider who will bring an individualized approach to your pregnancy weight gain: "Throughout the course of the pregnancy, I look at weight gain over time. If there's one visit without weight gain, I'm not troubled. I look at other factors, too, like fundal height (the circumference of the uterus, measured from outside the belly). We can also get an ultrasound to see how the baby is growing. It may seem like a patient only gained ten pounds, but did they lose a lot of weight in their first trimester due to nausea? That's a factor in the whole picture. It's not a one size fits all." She advises that you should be open with your provider about your relationship to food, especially if you are an eating disorder survivor—pregnancy can be a triggering time, as your body grows and changes. While doctors and midwives don't often have much training or expertise in nutrition, knowledge about your status will help them monitor your pregnancy and provide referrals if and when necessary. Your weight shouldn't automatically put you and your pregnancy in a higher risk category, though, as long as you don't have any other health concerns. If you're someone who has struggled with an eating disorder or with weight gain in the past, nutrition-specific counseling before conception and during pregnancy is a good idea, say both Dr. Chavira and Williams. A nutritionist can provide suggestions, strategies, and even specific meal plans that will help your body stay healthy and grow a healthy baby. Sarah Krieger, MPH, RDN, a registered dietitian who has worked with pregnant women, says "Eating a variety of foods from whole grains, protein, dairy, oils, and fruits/vegetables is very important throughout pregnancy. Underweight people should focus on steady weight gain focusing on nutrient-rich and possibly high-calorie foods." This type of diet isn't just beneficial while baby is still inside, either: "A varied diet can reduce risk of food allergies in the infant, and exposing the fetus to different foods can lead to the child eating a variety of foods later on—this is pretty powerful for a pregnant mom to hear!" At any weight, focus on taking care of yourself, eating well, and moving your body regularly in a way that feels comfortable. "Don't let being underweight be a reason to be fearful about pregnancy, " says Dr. Chavira. "Most women are going to do fine. If you are naturally thin, but eating well and exercising regularly, there's nothing you need to do differently during pregnancy other than increase your caloric intake and your folic acid. It's not something that women should obsess about."